If you are just starting out on the infertility journey or have tried a few inseminations, you might already be wondering what to do after IUI fails. Intrauterine inseminations, IUI, are usually one of the first steps in treating infertility. During this procedure, sperm from either your partner or a donor is placed into the uterus using a long, thin syringe. IUIs can be accompanied by an oral fertility medication like Clomid, a series of fertility shots, or a natural unmedicated cycle. Many women will start without using medication and have their IUI performed around the time of a positive ovulation test. IUI has about a 20 percent success rate per cycle. That's not much higher than trying at home, but it can be helpful for couples with low sperm motility. If a woman has a blocked tubes or doesn't ovulate regularly, however, IUI is unlikely to help. One of the main benefits to trying IUI first is its low cost. IUI is around $300 per cycle, although medications and lab tests can increase the expense. It is also less invasive than other methods of assisted reproduction and can be modified from one cycle to the next if conception doesn't happen. Prior to having your first IUI, your doctor will perform a few basic tests to look for any obvious reasons for infertility. The lab will analyze the sperm to make sure it has a high enough sperm count and enough motility to travel to the egg. You will probably also have a blood test, basic ultrasound, and routine gynecological exam. Most doctors will recommend trying a different approach after IUI fails around six times. After that many attempts, it's necessary to start looking for the cause of infertility if it's not already known. Some women will need more extensive ultrasounds to check for any visible problems in their uterus or fallopian tubes. Doctors may also suggest performing a laparoscopy, which will remove any scar tissue from endometriosis and can give the doctor a clearer idea of any blockages or obstructions that are preventing the egg from reaching the uterus. If your first few attempts with IUI were unmedicated, your doctor may prescribe some ovulation-inducing medication. The most popular is Clomid, an oral medication that makes your body think it's not ovulating on its own. In most cases, a woman's hormones will overcompensate by producing a stronger ovulation than it would normally. After trying Clomid for a few cycles, you may opt to use fertility shots. These self-administered shots, often made with a combination of lupron and QQQ, are taken daily for 10-14 days followed by a shot of HCG, the pregnancy hormone that also triggers the release of an egg. These shots increase the likelihood of releasing more than one egg, so you are more likely to have a pregnancy with multiples. After exhausting their attempts at IUI, many women will opt for in vitro fertilization. IVF is an expensive and time-consuming method of trying to conceive, but a good fertility clinic can offer success rates as high as 40 percent. Using a series of injections similar to the process for IUI fertility shots, a woman's ovaries are stimulated to produce multiple eggs. Those eggs are removed from the woman's body using a long syringe, then combined with the previously collected sperm. Hopefully, multiple embryos will develop, some of which can be placed back in the uterus a few days later. Other embryos are frozen for future use. To increase the odds of a viable pregnancy, more than one embryo is usually placed in the uterus, although this also makes it more likely to produce multiples. Clinic success rates and protocols vary greatly from one doctor to another, so be sure to ask questions about their approach and why they use one medication over another. Medically, IVF is the only option after IUI fails for a woman who wants to give birth using her own eggs. You can also explore adoption or surrogacy as other ways to add children to your family, however. 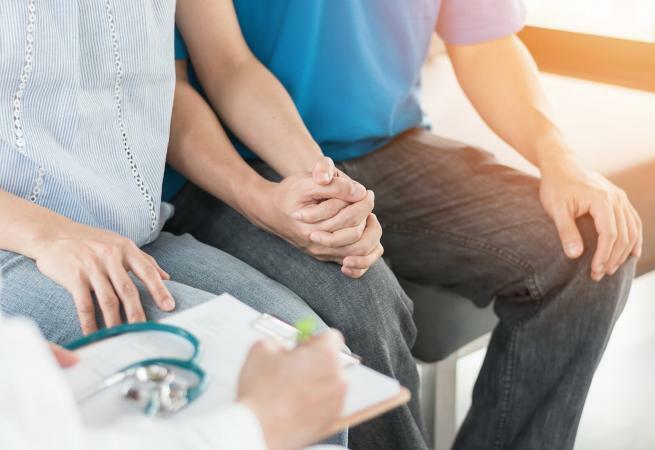 Fertility treatments can be overwhelming and difficult, so you and your doctor will need to consider your age and medical history when developing a plan that will help you conceive.